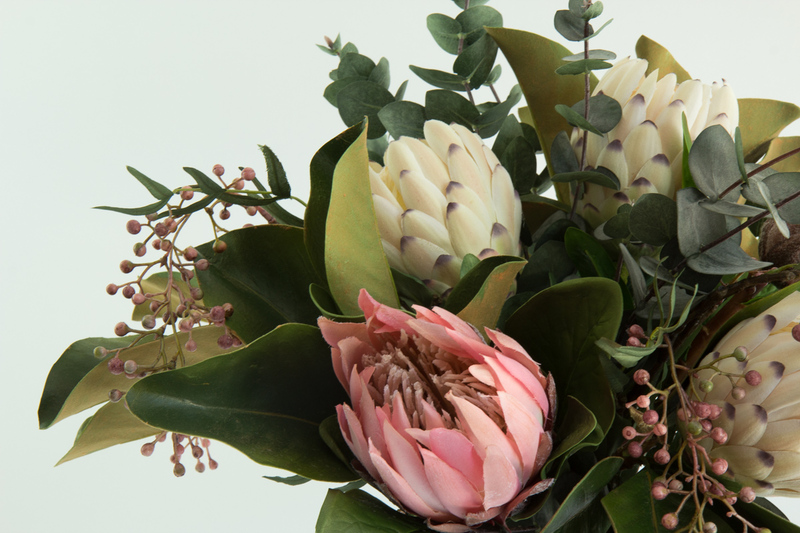 A new native arrangement highlighting our beautiful ‘champagne’ proteas – combined with soft pink protea stems and pink berry pepper spray it has an altogether softer look. 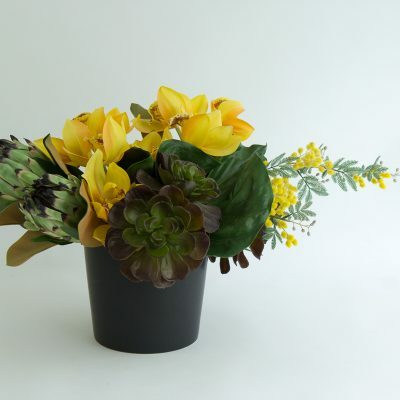 Front facing arrangement. 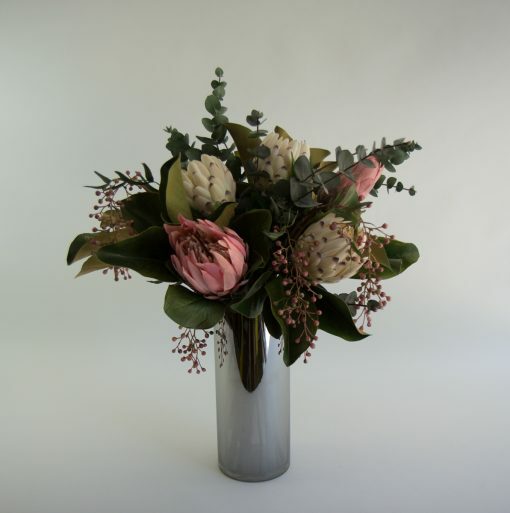 Jodie is arranged in a chrome glass vase and comprises champagne proteas, pink proteas, eucalyptus, pink berry pepper spray, and magnolia foliage. 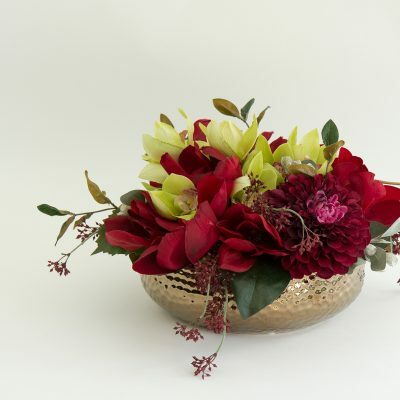 The base diam. 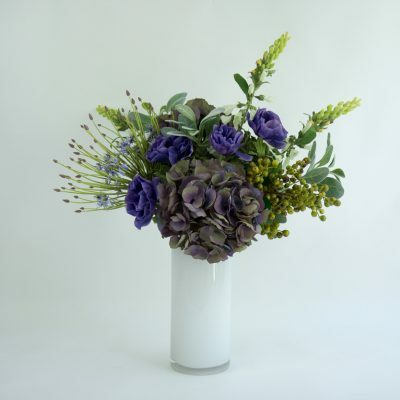 of the vase is 12cm and overall she measures approx. 65cm high x 45cm wide.